Lac La Belle celebrates their third album release with vinyl, highlights local photographers, Saturday, November 8th. 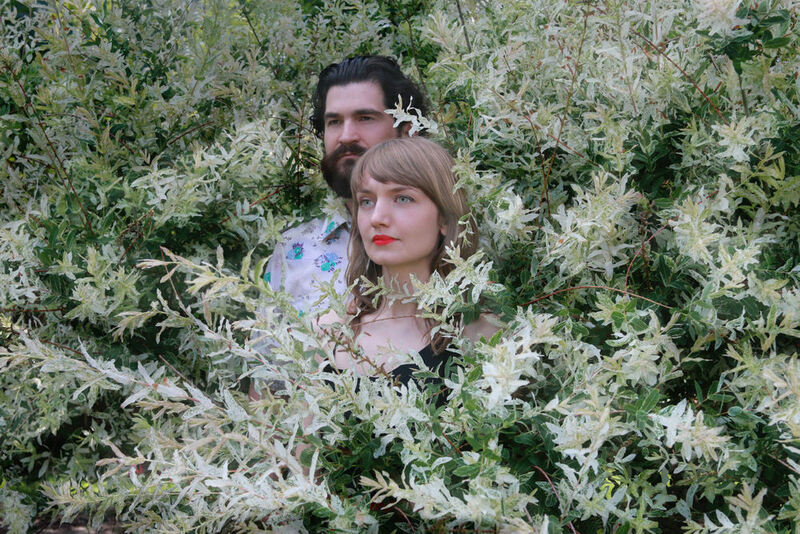 Detroit folk duo Lac La Belle has been performing together in and around the Detroit area for the past six years. Made up of residents Jennie Knaggs and Nick Schillace, their music is influenced by early Americana, and they seamlessly blend history with the present to create stories that capture the human experience. Lac La Belle offer it with expertise, via accordion, mandolin, banjo, ukulele, harmonizing vocals, and fingerpicking resonator guitar. For their third release, they perform with a full band, including Serge van der Voo on upright bass, and Abigail Alwin on cello and violin.Lac La Belle have years of experience to bring to the table. Both Knaggs and Shillace learned traditional music down in southern Appalachia, and both studied music academically. Knaggs is known for her vocal work in Matthew Barney’s recent film “River of Fundament”, her years singing honky tonk tunes at D’Mongo’s Speakeasy, and past project I,Crime; Schillace for his solo guitar recordings and his academic work on the music history of John Fahey. The members of Lac La Belle enjoy the community experience of music. Schillace is owner and instructor of Orion Music Studio in Lake Orion, Knaggs is co-founder of Detroit Music Teachers Collective downtown, and they host house concerts in their home in Green Acres. They put effort in creating unique environments for music, every album release thus far has been in a non-traditional creative space -- the Yes Farm on the East side in 2010, and Huggy Bears Hideaway, aka an old tool shed at Popps Packing in Hamtramck in 2012-- this event is no exception.